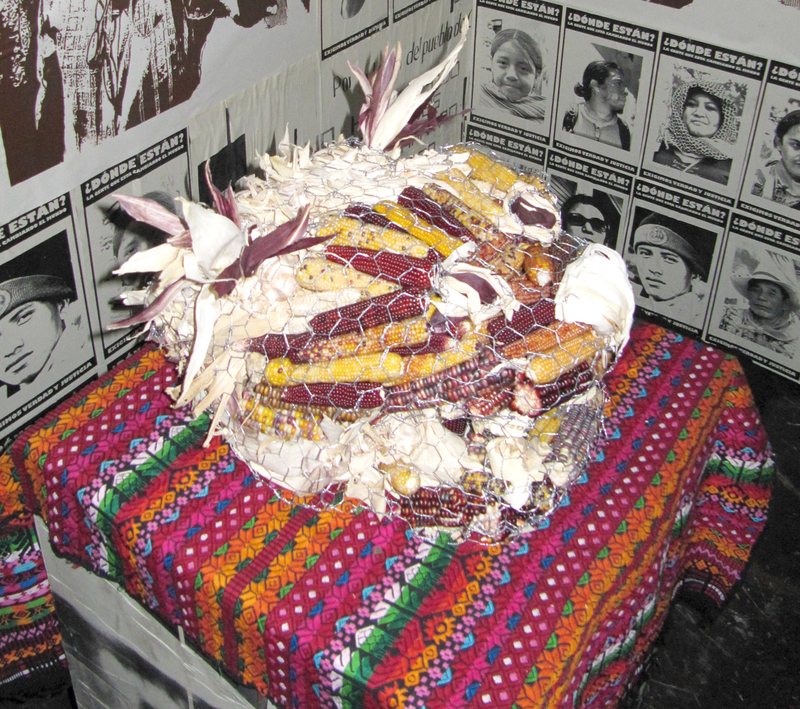 Installation for the 2009 Day of the Dead exhibit “Altars for the Spirits – Offerings for the Living” at SOMArts. 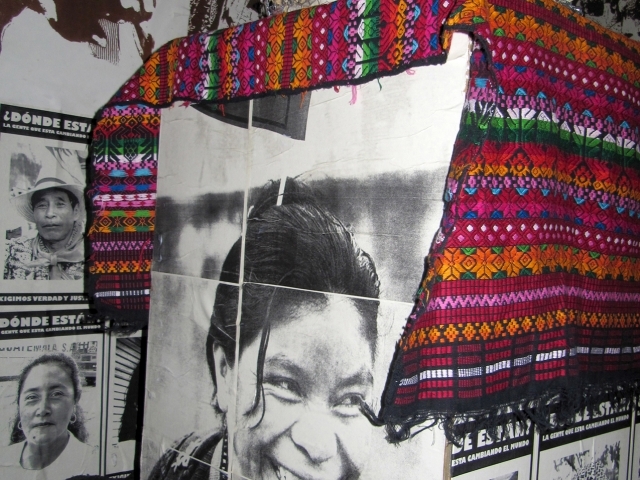 Collaborative project by Melanie Cervantes and Jesus Barraza to honor the living, the people in Guatemala who continue fighting for all those people who have been disappeared. 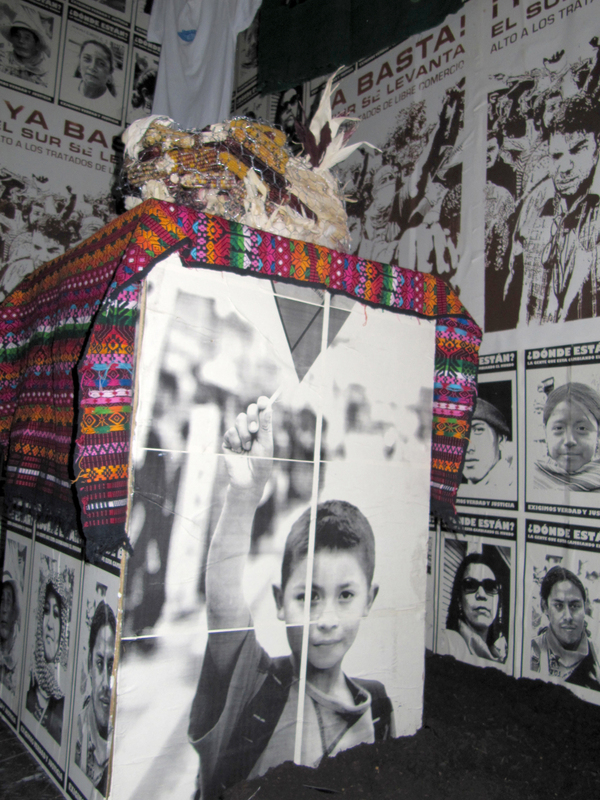 We dedicate this altar as a reflection of the hope for the people of Guatemala who continue to live in the “Land of the Trees” as well as those that live in Diaspora due to displacement caused by civil war and the impact of Neoliberal policies like “free trade”. 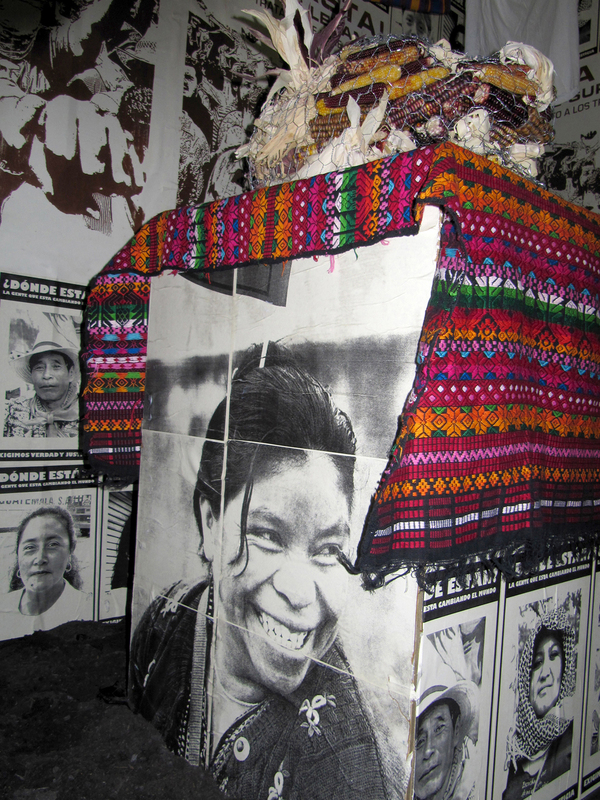 The altar is inspired by on our observations of the current political landscape and the climate of repression recent journey to Guatemala. 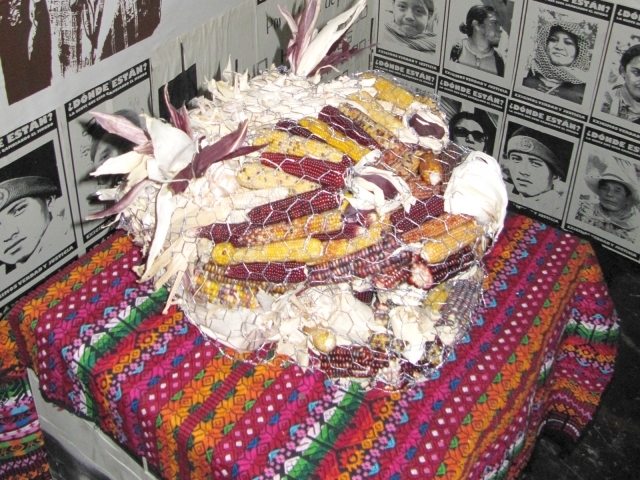 We choose to honor individuals who have been disappeared as a result of their Leftist political activities as well as those who have been the targets of genocidal attacks on Indigenous communities through our altar. 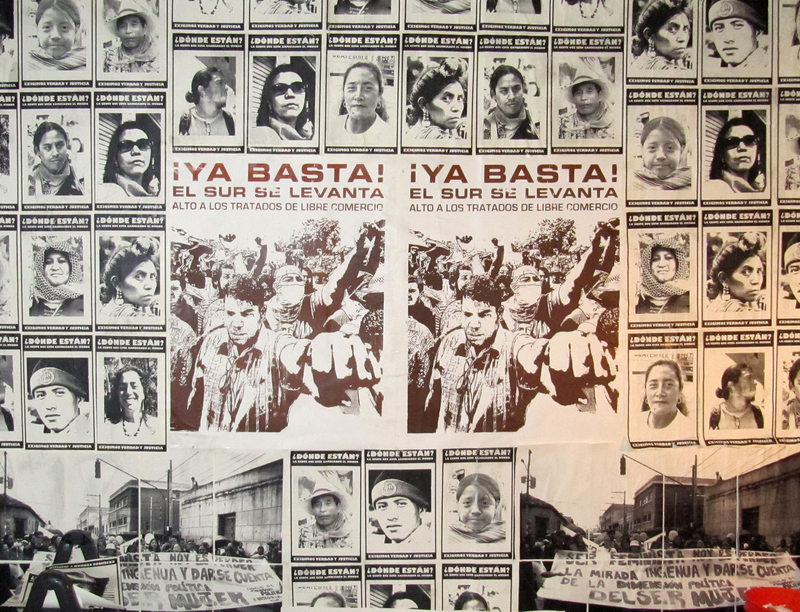 We believe both groups are targeted as enemies of the State due to their paradigmatic opposition those who embrace free market ideology and whose only allegiance is to multinational corporations. 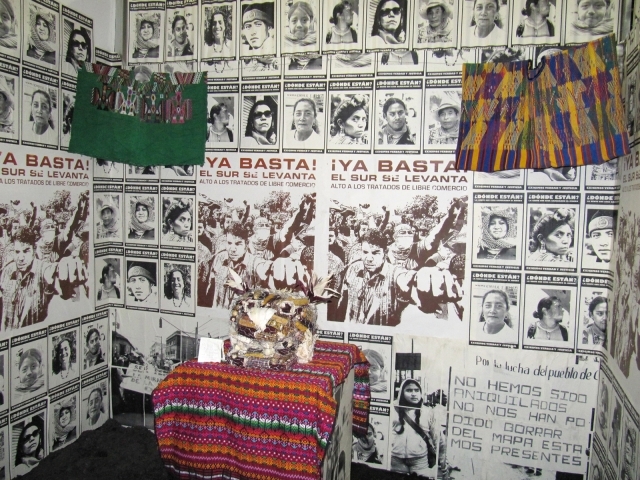 We adapt the commonly used medium of Xeroxed posters of the Disappeared and change the content and message from one of mourning and outrage to one of hope. 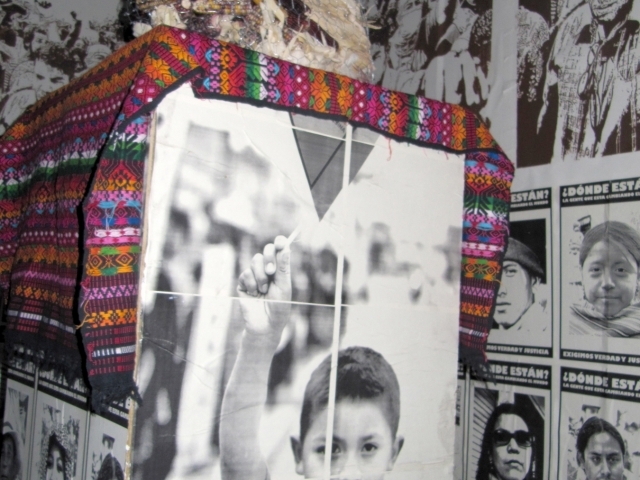 The poster instead ask ¿Donde estan la gente que esta cambiando el mundo?/Where are the people who are changing the world? And feature many different faces that represent the people of Guatemala. 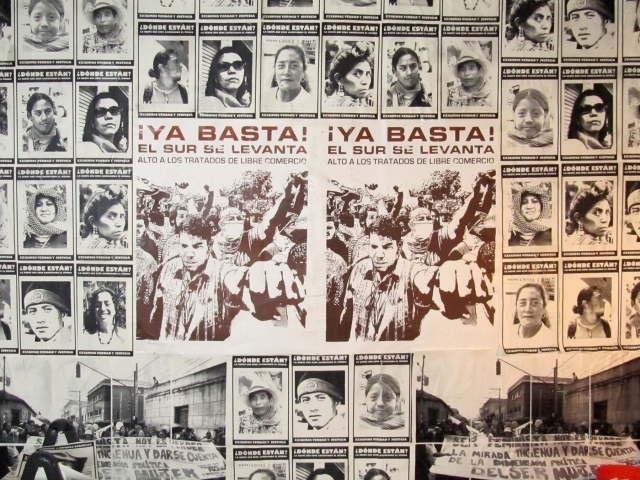 Our centerpiece posters declare to the viewer that the people of the Global South are fed up with free trade agreements and that they will rise up against such policies. 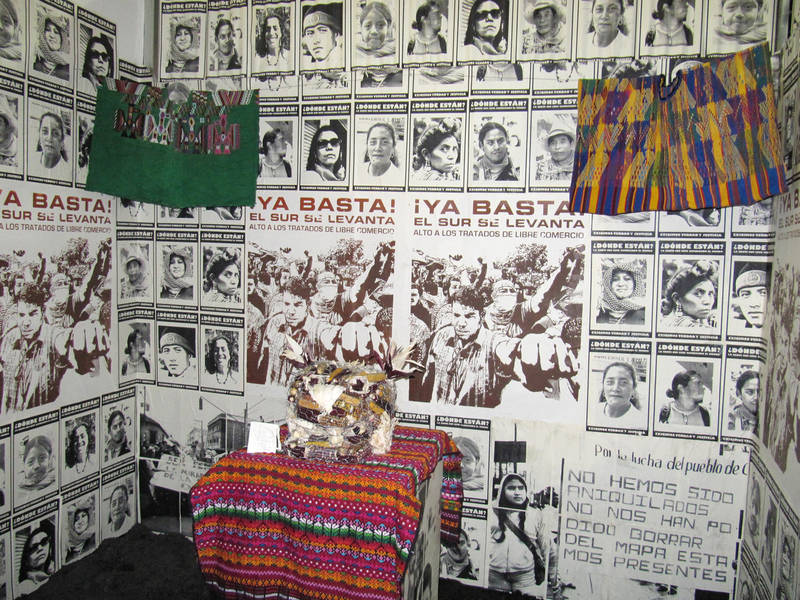 Juxtaposed against the poster installation we hang traditional huipiles, which allude to the genocidal campaigns that death squads aimed at the Mayas. 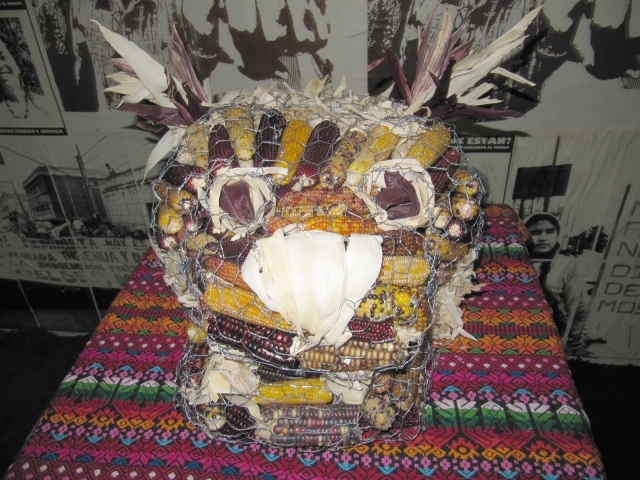 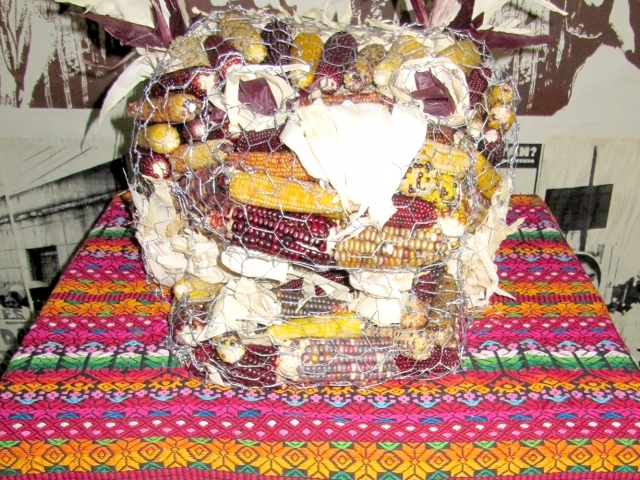 A central ofrenda item will be a chicken-wire sculpted nahual filled with maize which refers to the Indigenous Maya cosmology and creation story. 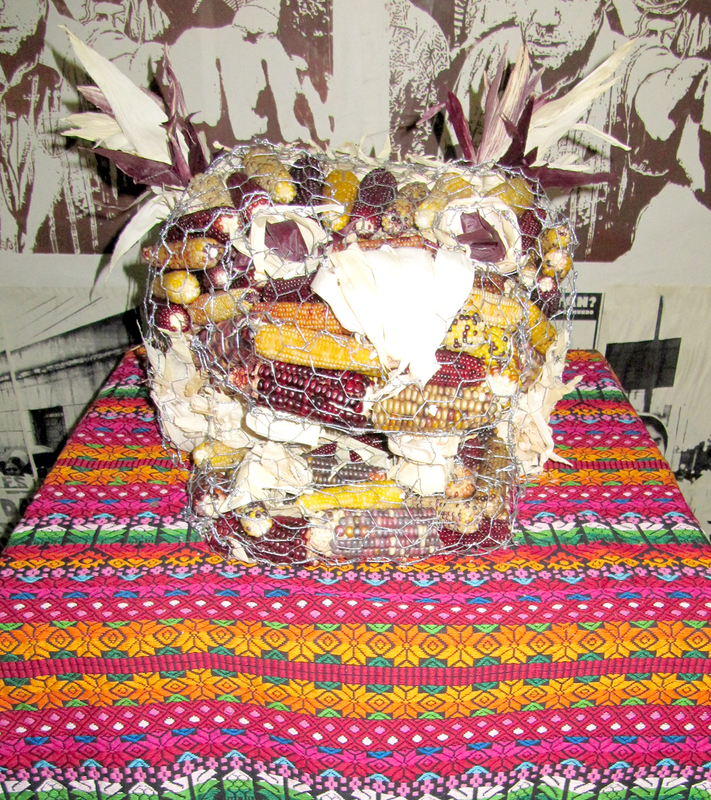 A nahual This part of the installation also refers to the wall structures built with chicken wire and filled with very large stones that are part of the terrain of Guatemala.